February 2018 will be the 55th year of “American Heart Month”, a month to focus on the leading cause of the death in The U.S., This started back in Dec. 1963, when a joint resolution of Congress requested that all Presidents proclaim Feb. as American Heart Month, which Pres. Johnson did on Dec. 30th, 1963, and we expect President Trump to issue such a proclamation on February 1st. Our company will offer in February 2018 Free CPR classes for American Heart Month, all over West Georgia. In 1963, and every year since, cardiovascular disease has been the leading cause of American deaths, and since 1988 has been the leading cause of death of both men and women. Last year estimates are 844,000 U.S. deaths from cardiovascular disease, and 17 million deaths worldwide. American Heart Association estimates global deaths will grow to 23 million by 2030. 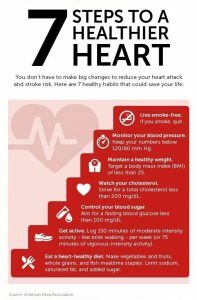 Many of the deaths from heart disease can be prevented – from prevention measures like stopping smoking, controlling high blood pressure, high cholesterol, eating healthier, to exercising more, and lowering blood sugar, and reducing your body weight. About 1,000 people per day suffer sudden cardiac arrest, which is a stoppage of heart function, but most experts believe 2/3 of people having cardiac arrest could survive with bystanders performing CPR (cardiopulmonary resuscitation), and use of an Automated External Defibrillator (AED) to shock the victim’s heart back to a normal rhythm. In furtherance of that goal, Newnan CPR during February will be teaching free CPR classes throughout West Georgia, which also includes using an AED. These are not certification level classes – you won’t get an AHA certification card, you will only learn the life-saving skills of CPR and how to help someone that is choking. Schedule and registration at https://newnanCPR.com/schedule/ .